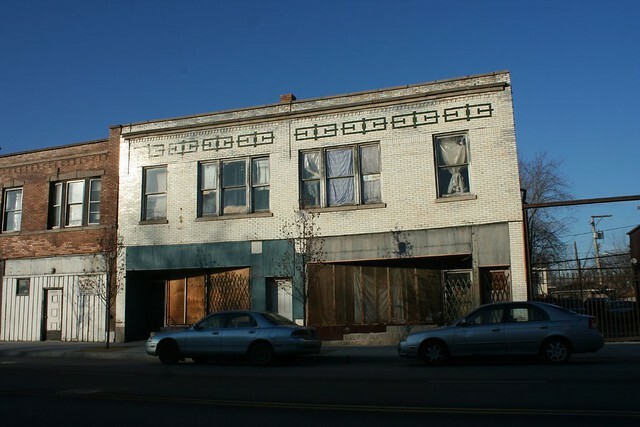 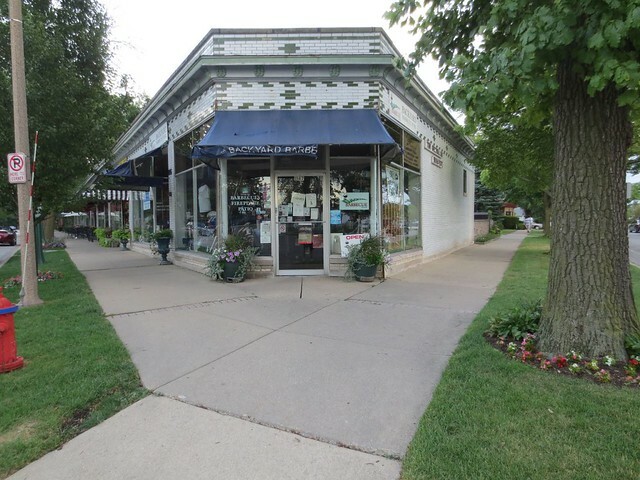 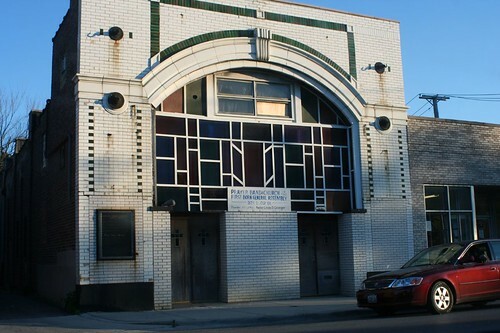 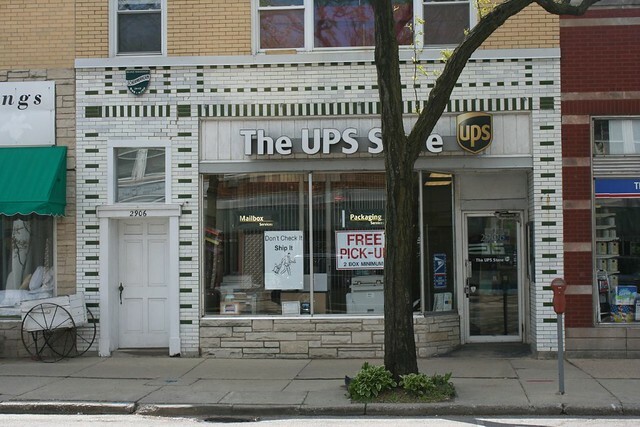 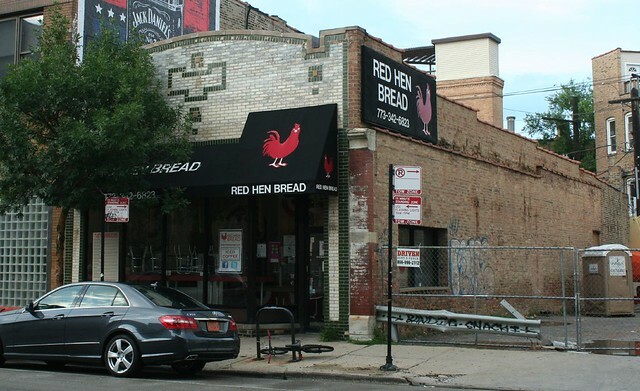 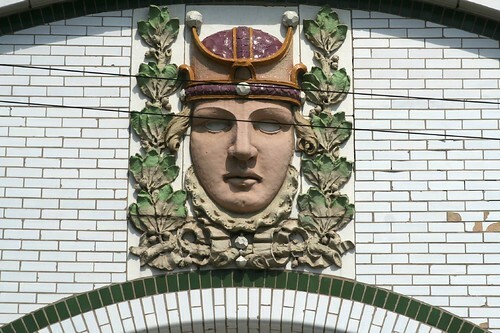 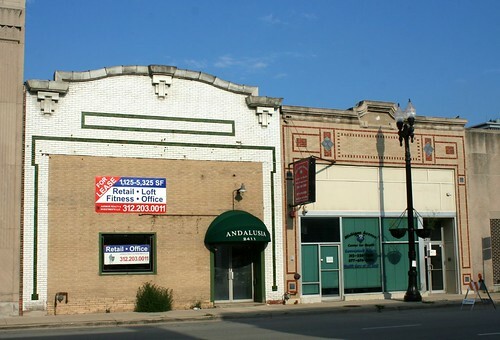 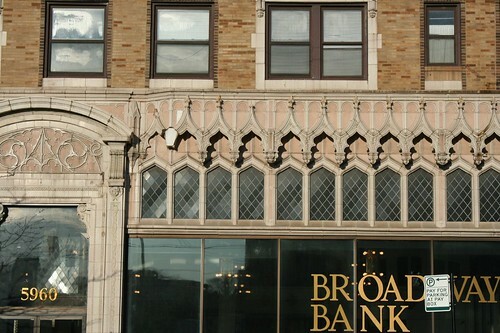 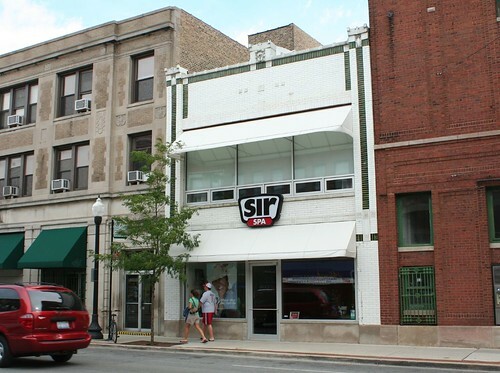 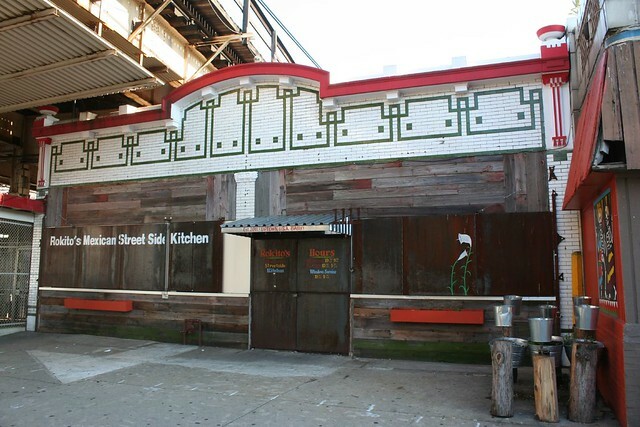 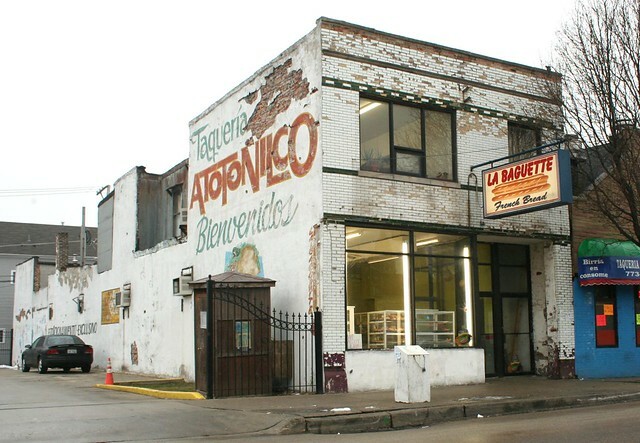 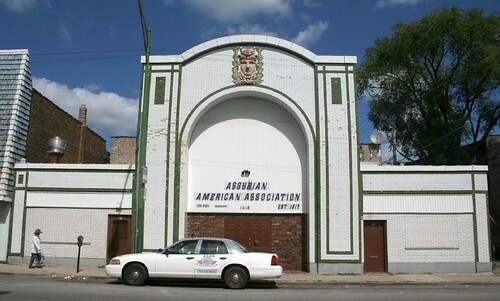 In the years leading up to World War I, a popular facade style for small commercial buildings consisted of white glazed brick with dark green brick for accents and ornament. 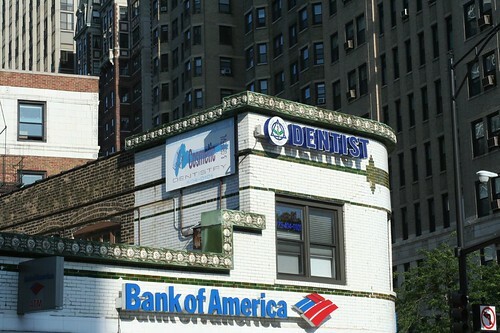 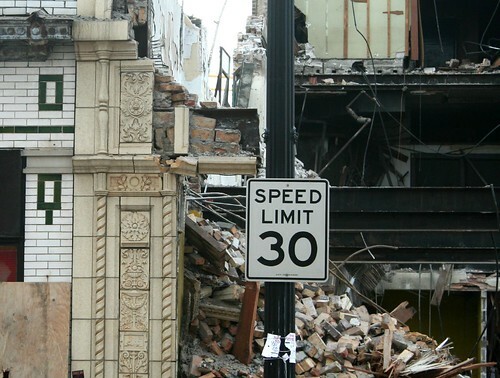 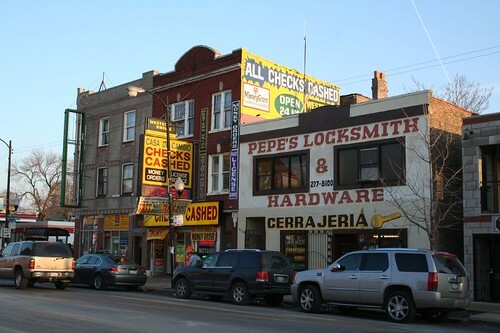 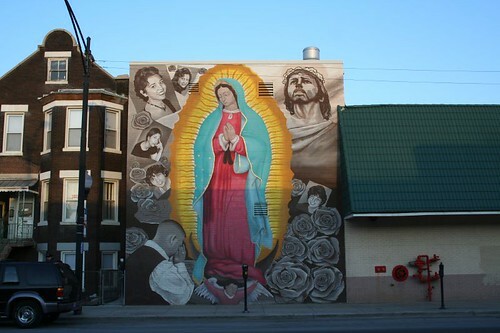 Examples can be seen all over Chicago. 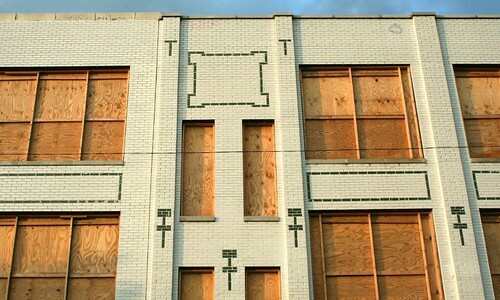 I am familiar with one or two cultural trends that would have made the style appealing. 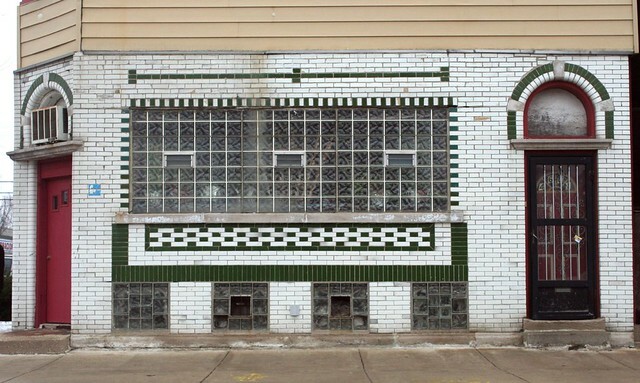 The notion of hygiene was on the rise, and glossy white brick – sometimes referred to as baker’s brick – was the perfect reflection. 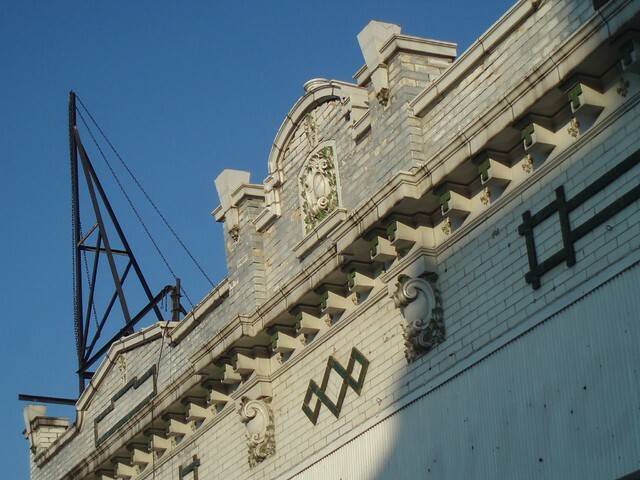 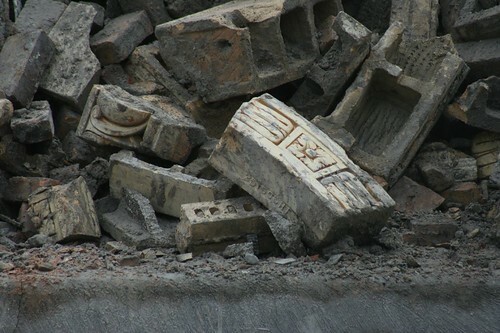 Easily cleaned, naturally pure and pristine, glazed white brick would have had great appeal to a populace looking for ways to elevate the filthy, smoke-ridden city. 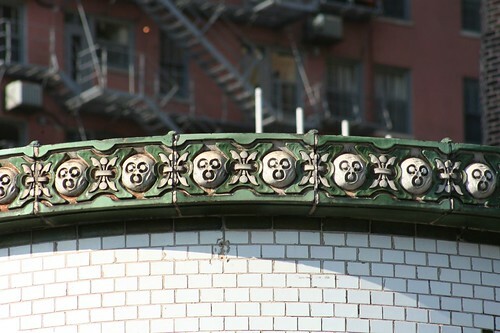 Why the olive green accent, though? 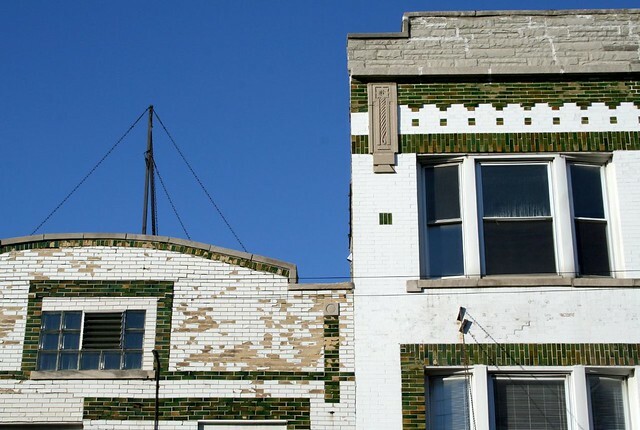 While it certainly is a beautiful color scheme – the olive green comes in a variety of tones that make each brick unique – there are a half dozen other tones like blue, maroon, and caramel which would harmonize equally well with white glazed. 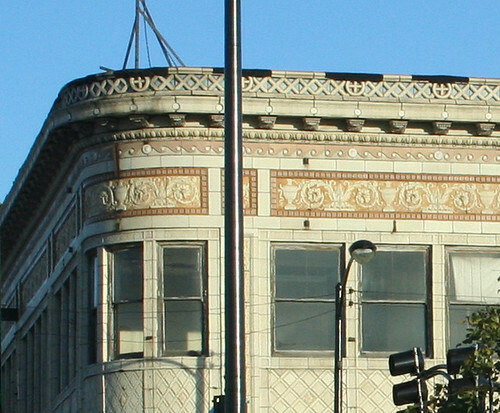 Yet green is almost exclusively used as the accent color. 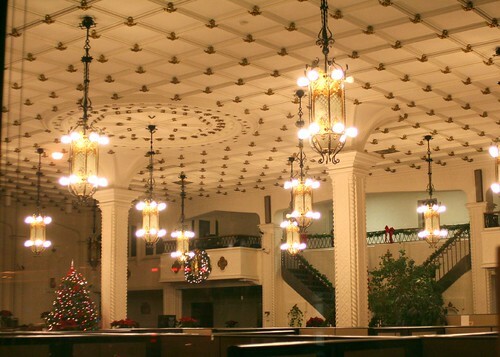 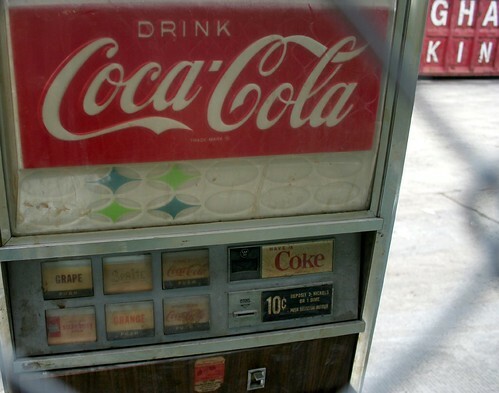 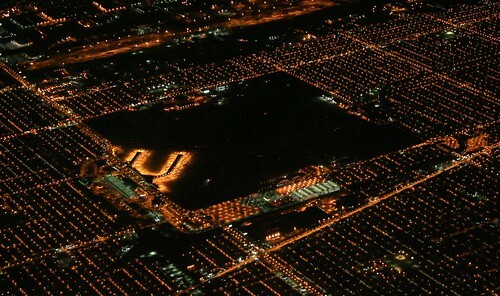 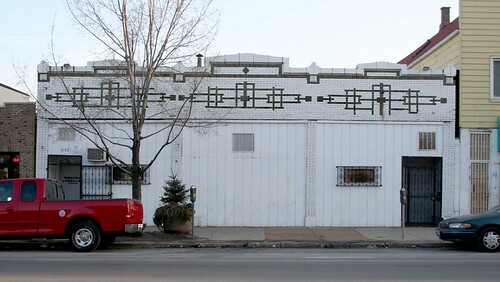 I have found one or two examples in St. Louis, too, but it seems to be more of a Chicago thing. 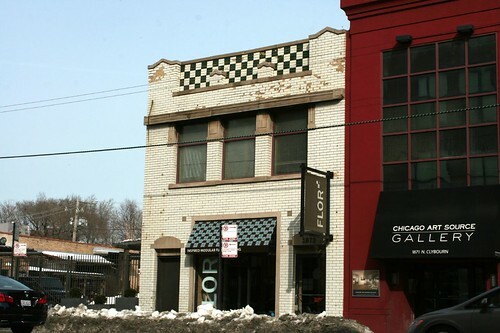 I have yet to locate the magical research key which will let me unlock this mystery; I have no info on any of these buildings, and little special knowledge of Chicagoland brickmaking. 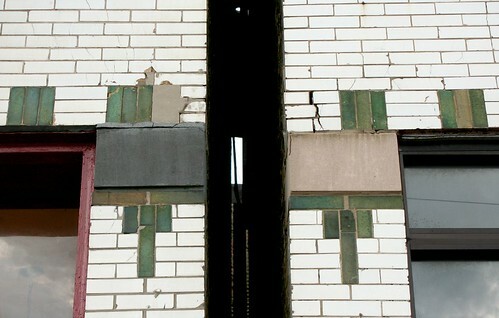 If any knowledgeable reader can suggest further leads to trace, I would welcome it. 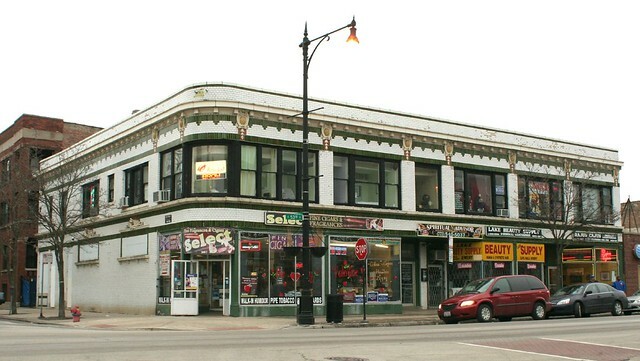 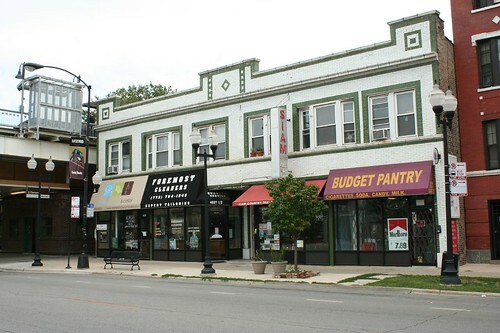 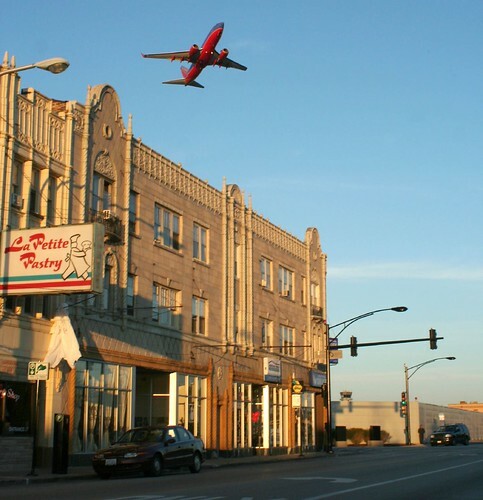 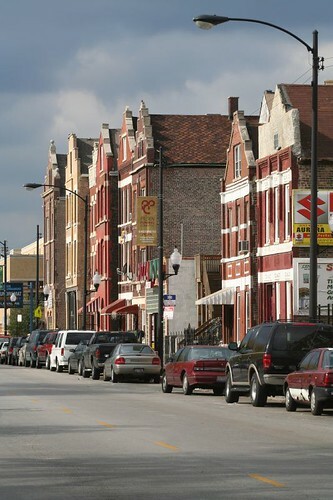 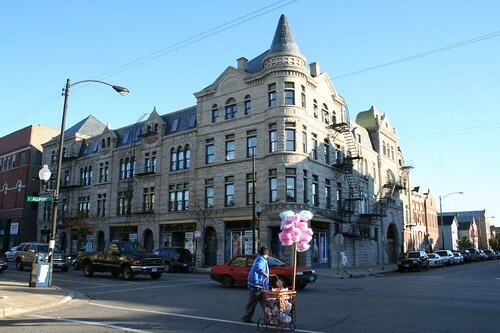 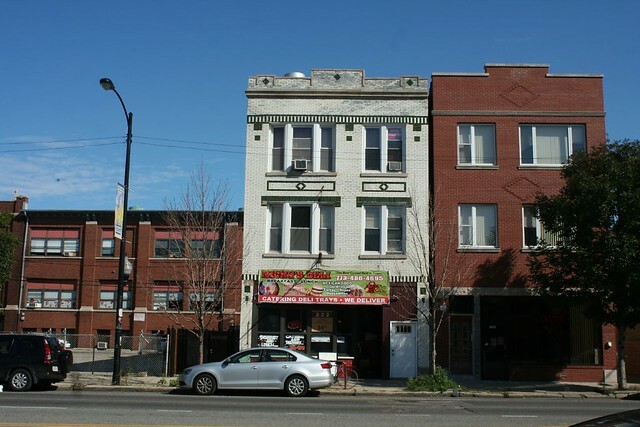 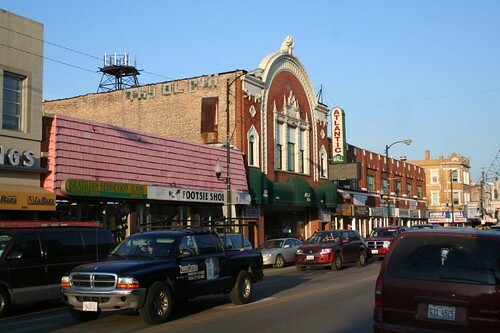 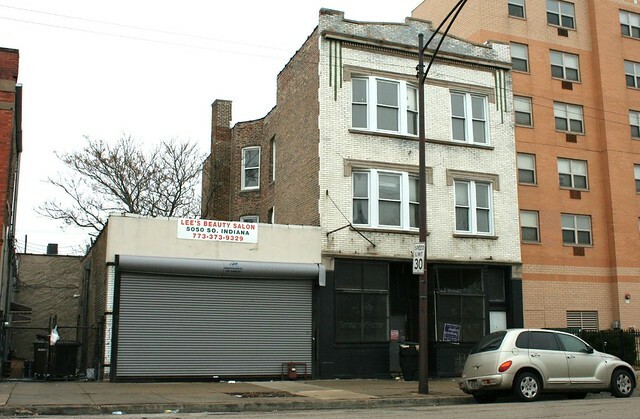 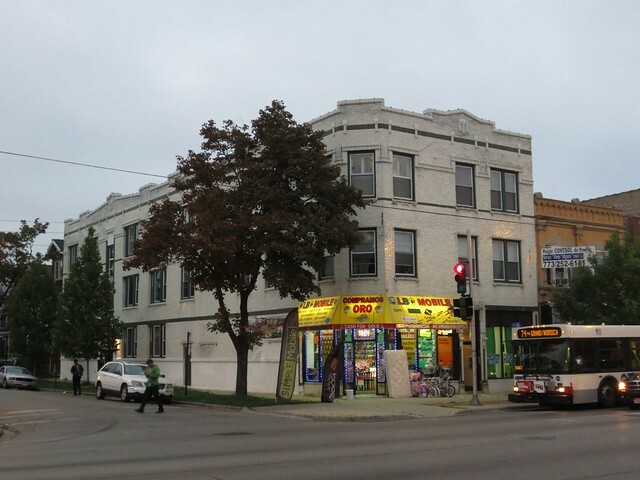 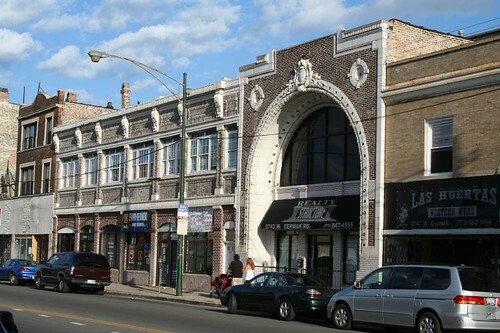 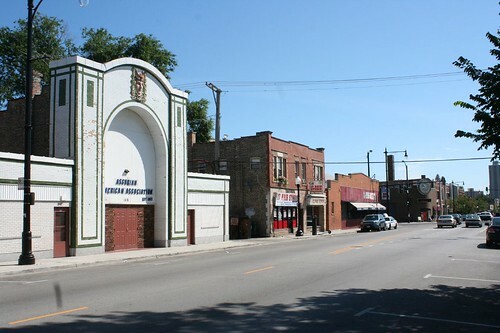 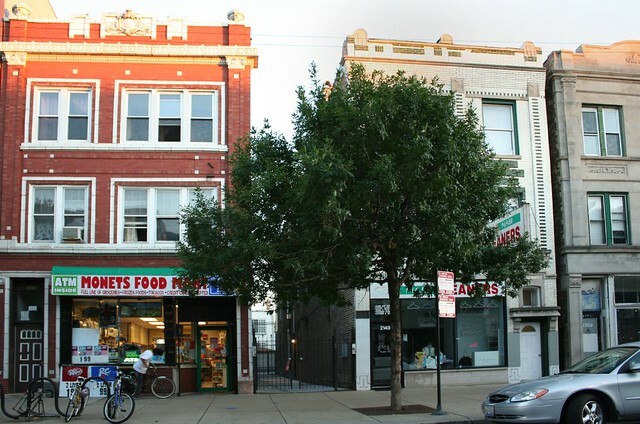 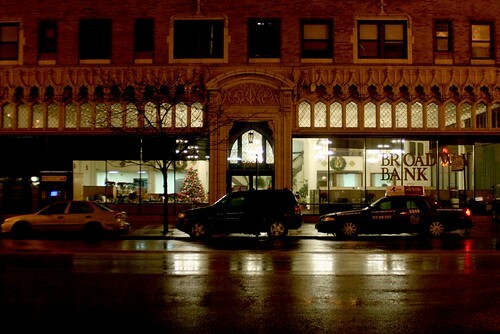 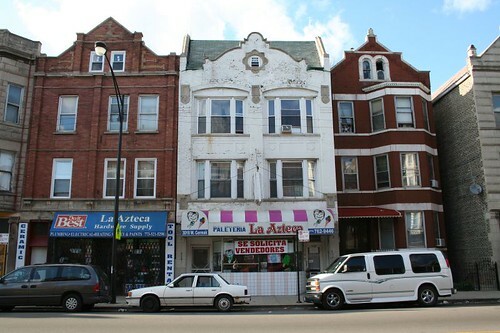 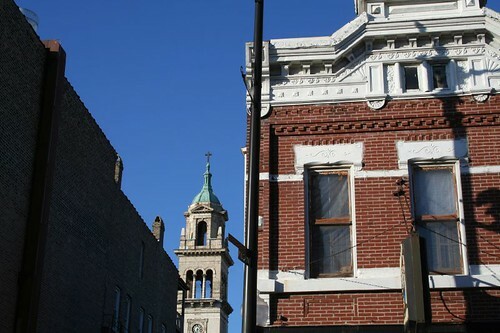 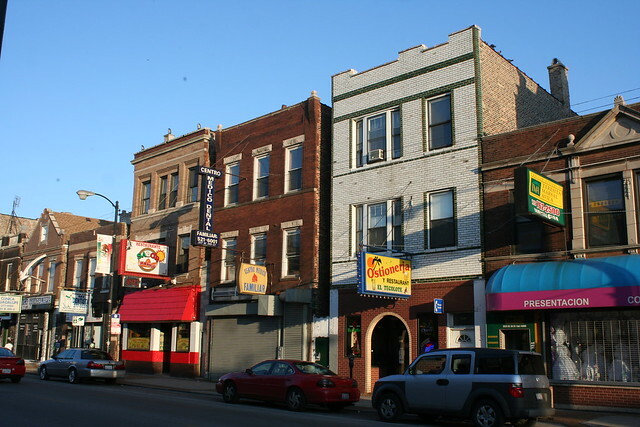 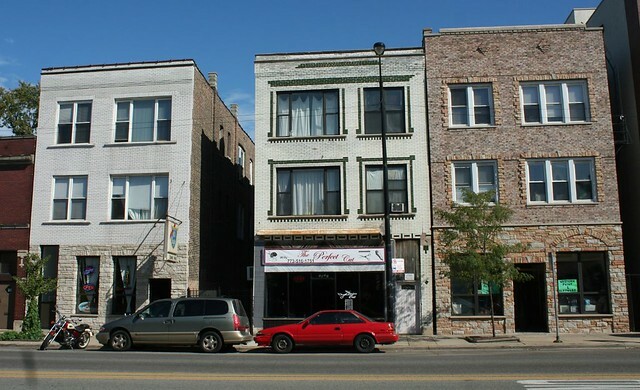 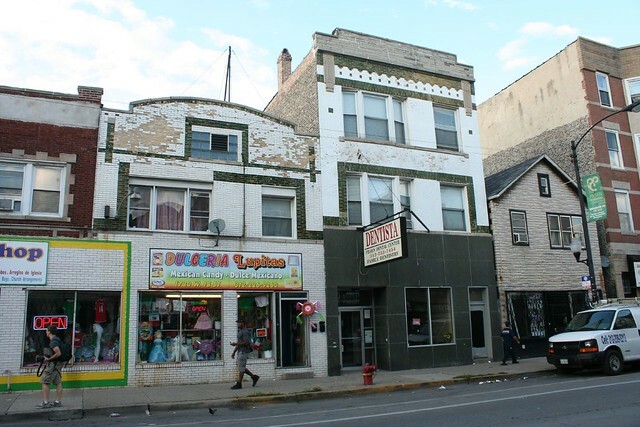 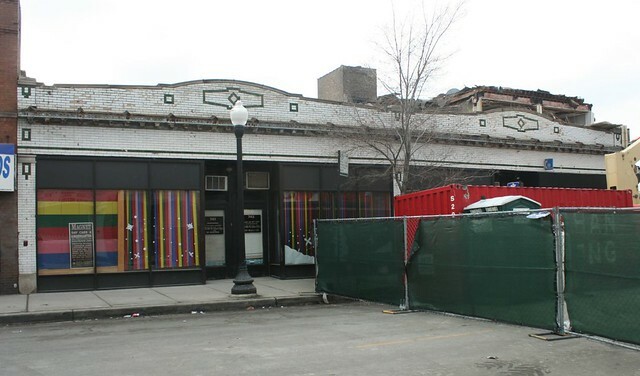 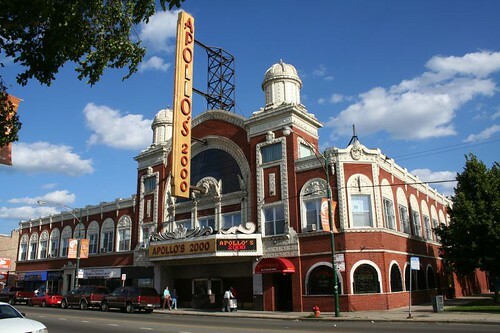 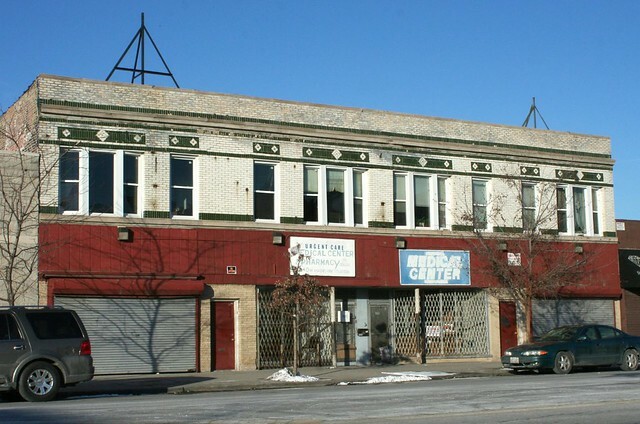 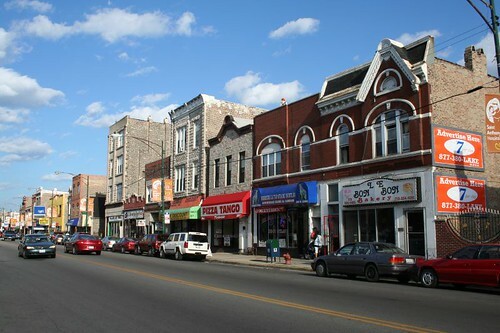 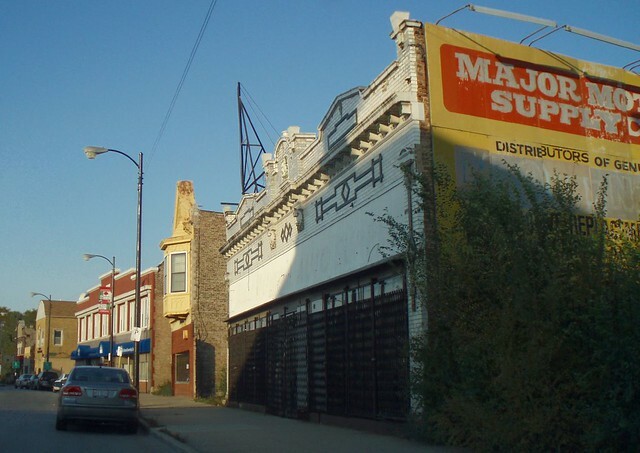 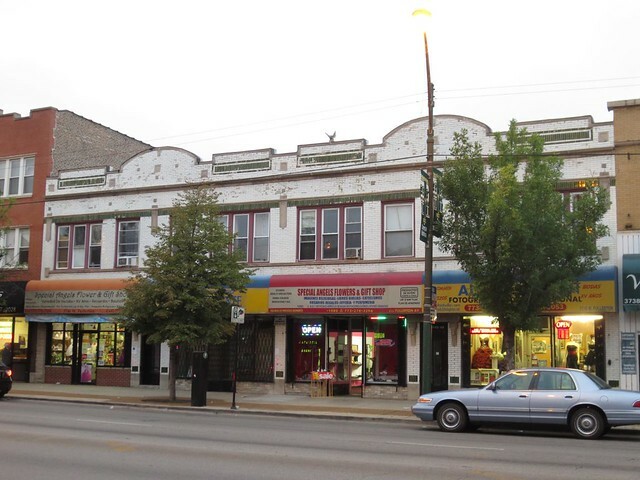 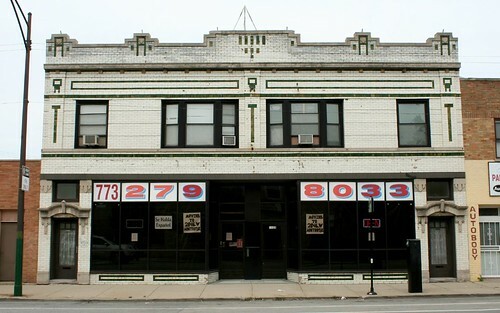 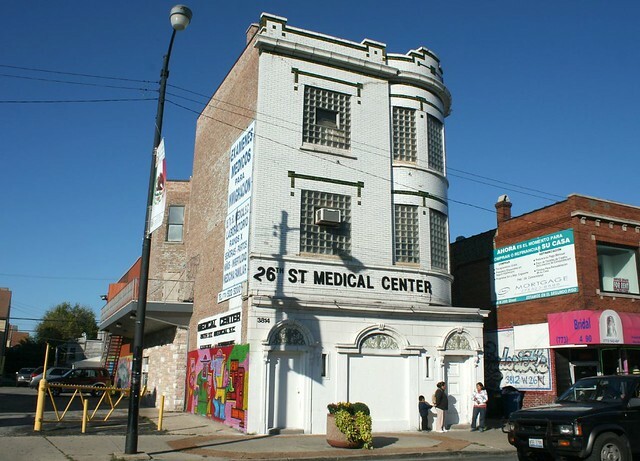 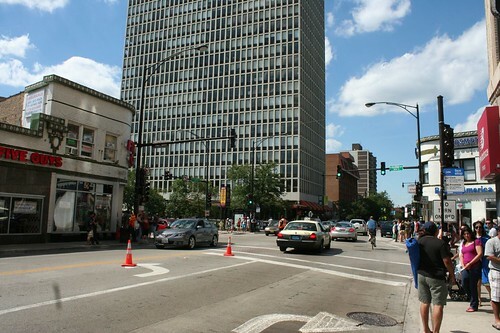 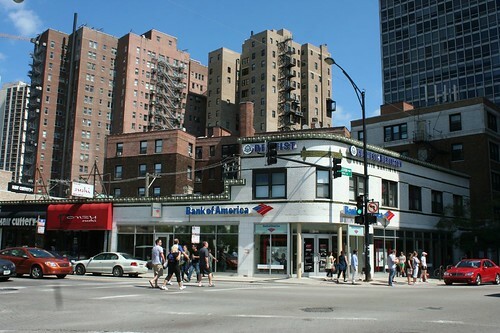 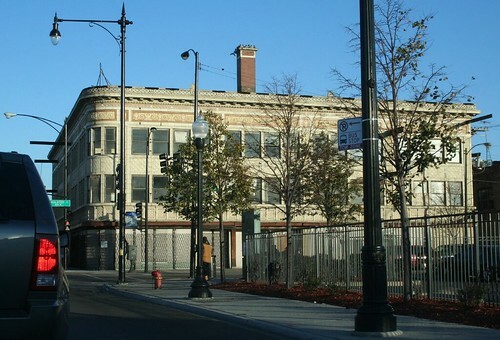 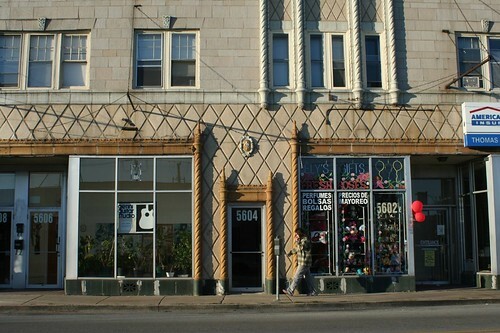 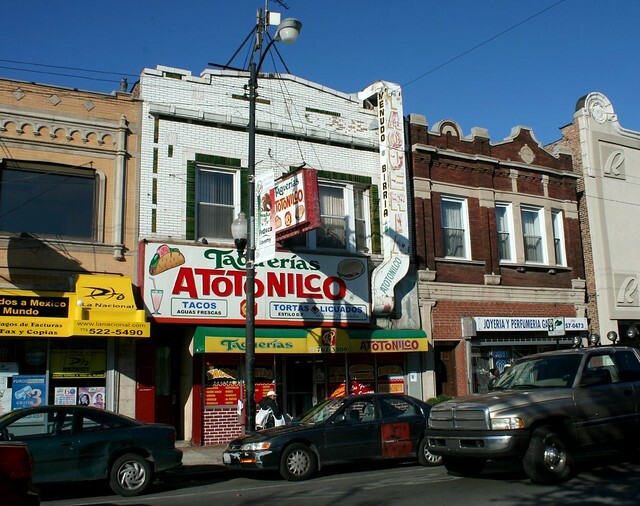 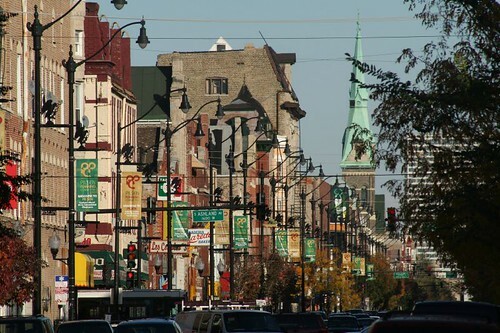 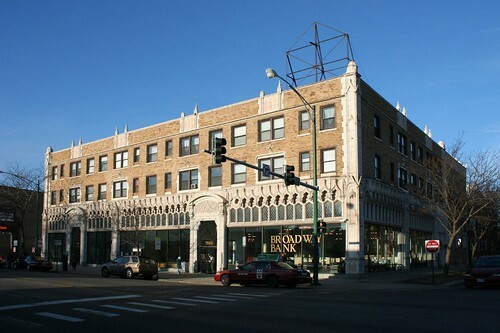 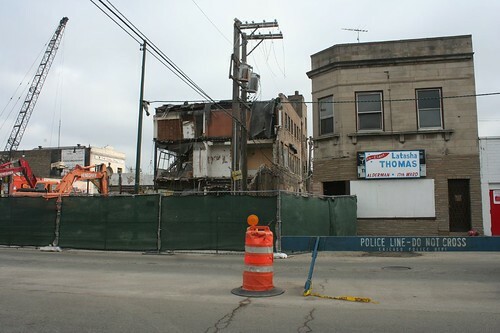 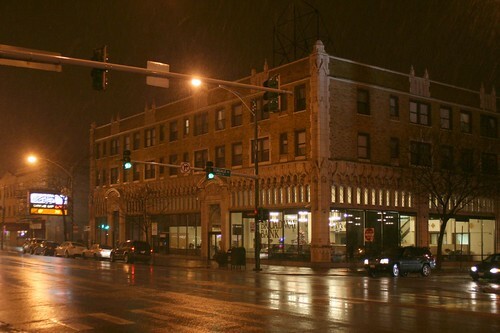 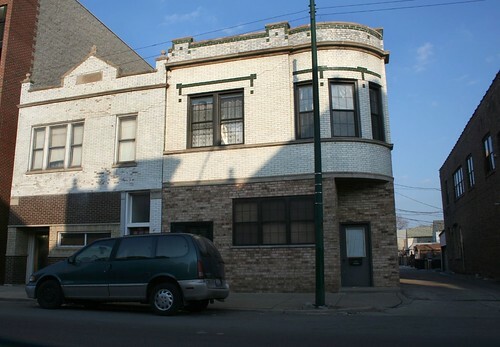 The co-monarchs of the style are two twin buildings at Fullerton and Clark, facing one another diagonally across the busy intersection. 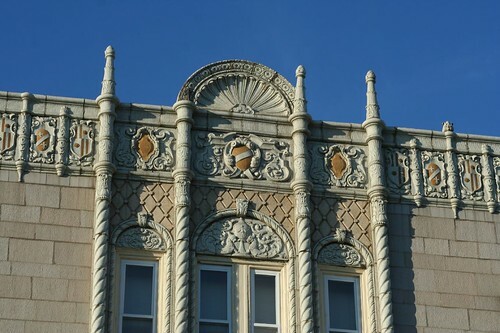 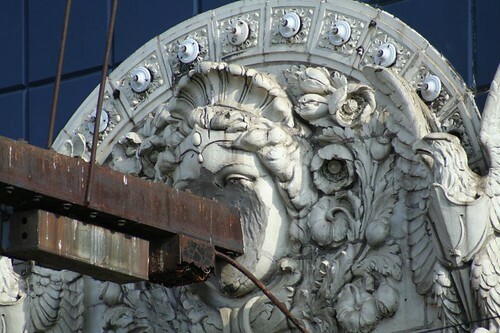 They are both tricked out with lush terra cotta ornament, catalog blocks applied as a cornice. 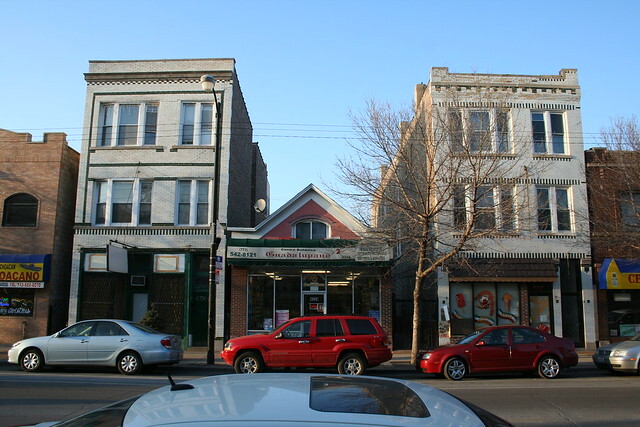 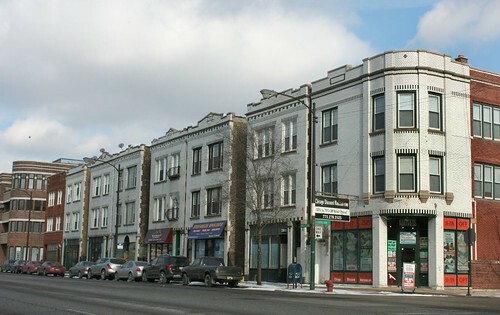 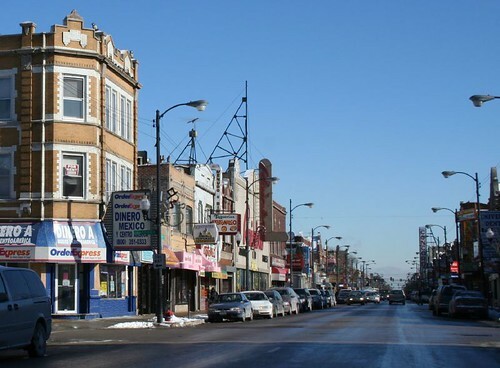 If the Clark Street pair are the kings, then the prime minister must be this block-long assembly on Western Avenue, where seven out of a group of eight buildings feature the green-on-white brick pattern. 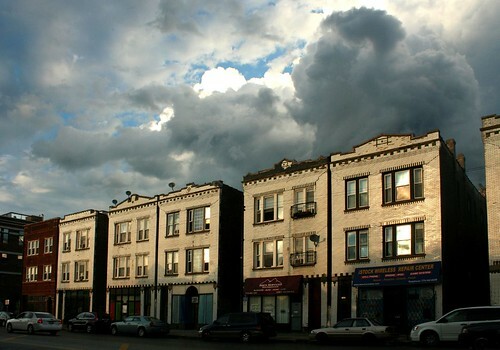 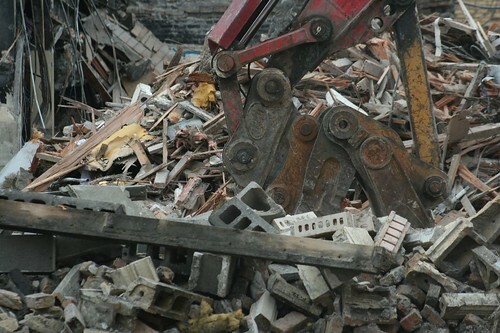 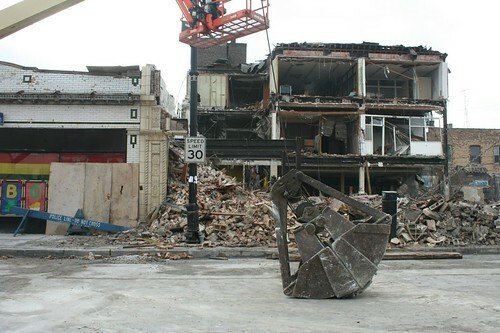 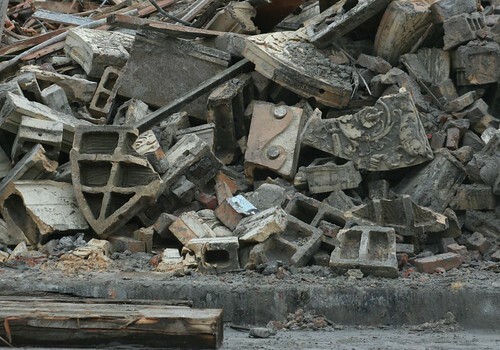 Even with this plethora of addresses, my searches turned up nothing besides occasional random factoids about the doings of this or that tenant over the years – not even a builder’s name.